I am mesmerized by the phrase in I Peter 3:4, “…the imperishable beauty of a gentle and quiet spirit, which in God’s sight is very precious.” I want to be that kind of beautiful—a beauty that is “very precious” in God’s vision. But “a gentle and quiet spirit” seems so illusive to me. How do I do that? How do I become a woman characterized that way? I know what the words mean. Gentle means meek, not weak. It means strength under God’s control. Our culture tends to link the term gentleness with weakness. But gentleness is the strong arm cuddling a tiny infant. Instead of using strength to crush the baby, gentleness is tempering that strength, controlling it, and using it instead to bring comfort. Gentleness and weakness are two entirely different things. The other term in I Pet. 3:4 is “quiet”, meaning tranquil and at peace. I know all that—I know the definitions of the Greek words behind the English translation. And, yet, I struggle to practice such attitudes. I wrestle with how to not wrestle. I have had times of worry and fear periodically in my life. Yet God has always met me in my need. This led me to believe that the worst was over—that I was heading into the twilight years of Christian maturity where I could rest confidently in all I have already learned of God. I got married, learned more of God, had times of struggle and times of peace—but peace generally won. Then I had kids. A wise pastor once told me that after you have children, it’s like your heart is walking around outside of your body for the rest of your life. Now I have 3 people I love dearly (my husband and children) who all have the power to tear my heart out and stomp that sucker flat (as Lewis Grizzard would say). And my response to the ice-cold fear that grips my heart at times is anything but gentle and peaceful. I respond with control. With agenda.With manipulation. I can’t handle being out of control on something that means so much to me—but I am learning how devastating my efforts at control are on the very things I value. I sat with a wise, long married elder’s wife recently, and she shared with me great, simple words of wisdom. In a nutshell, let go of my agenda and expectations, and trust the One Whose faithfulness supercedes all of our own unfaithfulness. As Paul says in Phil, 1:6, “He who began the good work in you will be faithful to complete it …”. It all leads back to the simple idea of TRUST. “Let go and let God” is becoming less of a cheesy Christian saying and more of a foundational guiding principle for my life. Let go of my agenda that I may be completely available to the Holy Spirit’s agenda for me. I can’t change people. I can’t even change myself. But God is faithful and loses none of His children. And now keeping a quiet heart seems possible. Suddenly, the fog clears and it makes sense to me. 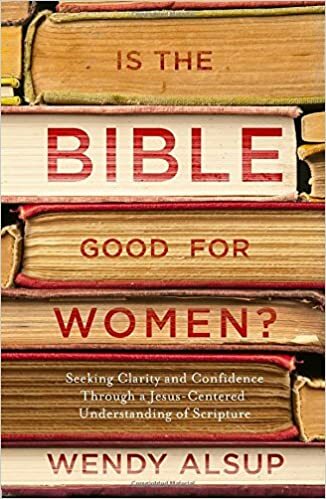 God says a woman who trusts Him, who lets go of her expectations and waits quietly and expectantly on Him to work, reflects a beauty that is of GREAT PRICE. God says a woman that tempers her strength and responds with graciousness rather than manipulation and anger to situations out of her control is in possession of a beauty that does not fade with age. These are inspiring words from Scripture. I have found Elisabeth Elliott’s book by this title an easy, encouraging, inspiring, convicting read. “And my response to the ice-cold fear that grips my heart at times is anything but gentle and peaceful. I respond with control. With agenda. With manipulation. I can’t handle being out of control on something that means so much to me—but I am learning how devastating my efforts at control are on the very things I value.”I struggle so much with responding to my kids’ disobedience with anger and manipulation. I know in my head that trying to be in control is not the answer, but walking in that understanding has been an ongoing struggle.Thanks for your words of wisdom, encouragement, and empathy. I’m excited for your blog and for your book! Thank you for this. It couldn't have come at a more perfect time for me. Just this morning I was met with an extremely hurtful and discouraging message from one of my adult children and have been feeling a wide range of emotions. Now to go pray and TRUST that our Heavenly Father carries it all for me. Blessings!! !